Jordan is for us a gate to the Near East of Asia and also the only country we will visit in this region. 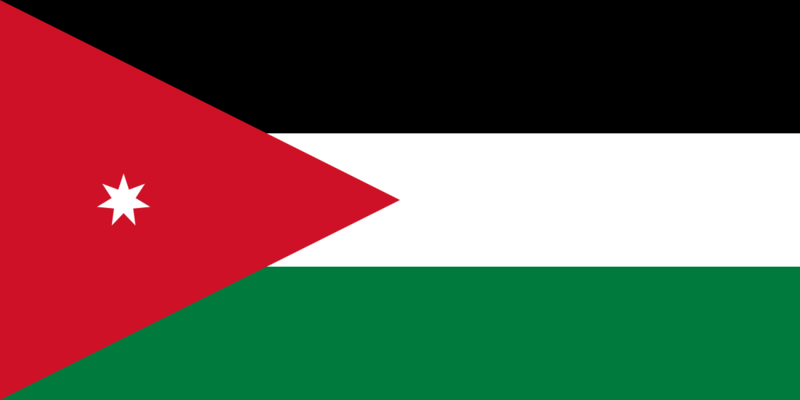 We have decided to go into the Kingdom of Jordan from the Middle East Arabian Peninsula, from probably most known state in this region called The United Arab Emirates. Jordan is, as were told,a very peaceful country and its citizens are loyal supporters of its king who was once said that all tourists are welcome, therefore all citizens also follow his wish. Our vacation in Jordan will begin in the center of all events. The capital city of Jordan, Amman is great starting point thanks to its accessability to nearby destinations. In Amman there are many beautiful historical sites, some even from Roman times so tourists will not feel that they are only in an Arabian region. Although Jordan is an Arabian country where there lives a large population of Muslims we can still find there a certain percentage of Christian citizens. Thanks to this are no strict rules for tourists like in other Muslim countries. Nevertheless it is not good to provoke. Tourists should always act peacefully all around the world. In Amman we will have a lot of chances to explore the magic and tastes of the local cuisine. Jordan cuisine is interesting for all those who love food. It consists of many meatless, but hearty appetizers such as stuffed vegetables like eggplants and carrots served on rice or falafel (chickpea balls). The main course always consists of meat, mostly beef or lamb and the meat is prepared on a spit. Due to religious reasons, lovers of pork might not be happy. After a hearty lunch it is necessary to have a sweet dessert. Local desserts are quite famous, mostly the ones with added different types of sweet syrup or honey. The great delicacy is baklava or konafa (roll puff pastry with pistachio nuts). And those who likes to drink coffee with sweets can try the local strong coffee called kacar or kahve (served with cinnamon). The Hashemite Kingdom offers many beautiful places to visit. Within our vacation in Jordanwe plan to travel to the Dead Sea. It is located about an hours travel from Amman. 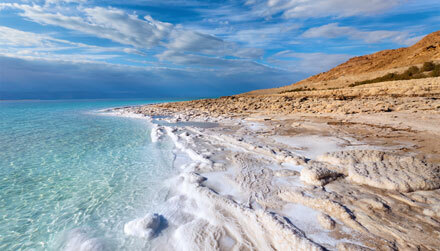 The Dead Sea is one of the most famous lakes in the world. Thanks to its salinity it has great healing effects, therefore is visited by many tourists all year round. It is suitable also for non-swimmers. Salt water floats and diving is an almost superhuman task. Near to the Dead Sea can be found the famous healing mud which anyone can dig up and lubricate their skin with it. We look forward to this experience because we think it is going to be fun. The real travelling in Jordan is still ahead. There is a long way to go to the south of Jordan to the Ancient city of rock – Petra. We will also have a first- hand experience of how transportation in Jordan works. We plan to get there by bus, other options are not possible from what we know. Petra belongs among the most well known historical sites in Jordan. Originally a perfectly hidden burial ground it is today the most visited monument in Jordan and since 1985 protected by UNESCO. Because it is really big city, and not only a “Treasury” (Al Khazneh) we have decided to spendat least 2 days there. Due to this reason we will have to sleep in city of Ma’an located about 45 km away from the city of rock. Ma’an is located in the middle of the desert and was founded on the main business path leading from Arabia to Syria. Today the city is mostly visited by tourists therefore there is a mix of Byzantine, Arab and Ottoman Empire culture and modern conveniences. Once we have had enough of culture we will set out for our last trip in Jordan, to Akaba Bay located at the Red Sea. In Akaba we want to visit downtown, the local markets and during our relaxation on the beach we will slowly say good bye to our travelling in Jordan so we can go on to our next adventure and visit Egypt. أهلاً بكم في الاردن Welcome to Jordan!